First order of business was getting this beast into my sewing room. The cabinet was a bit ungainly and it required three of us to maneuver it down the hallway. Next, I did a little research online about just what I was dealing with. 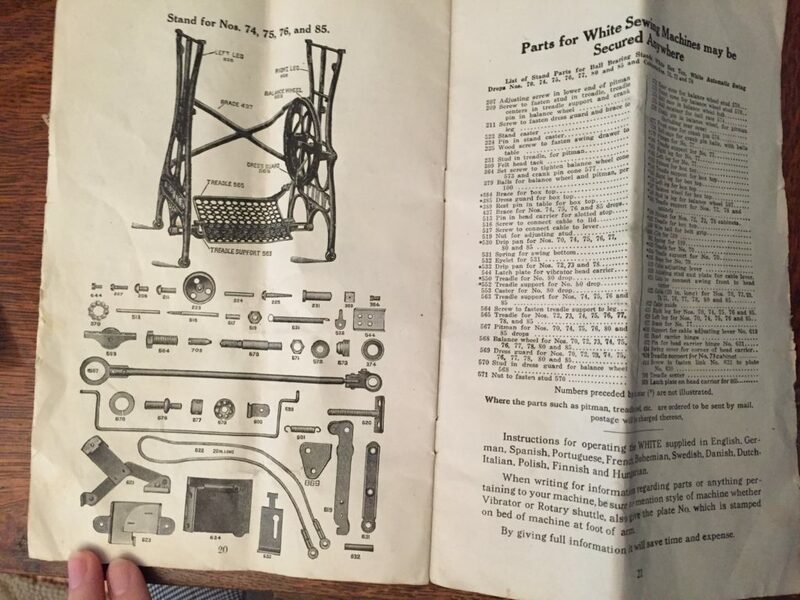 It’s a 1913 White Family Rotary treadle-operated machine. 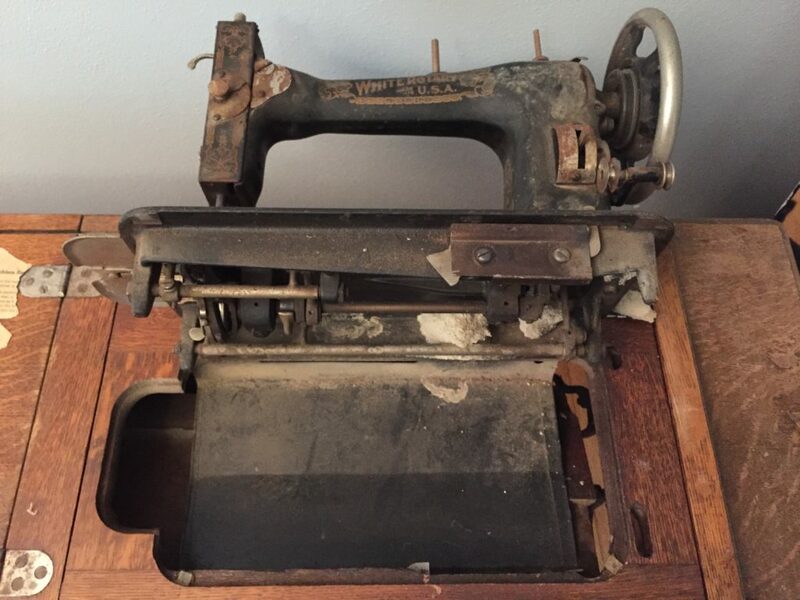 Fortunately it wasn’t too hard to find advice about how to restore machines like this. 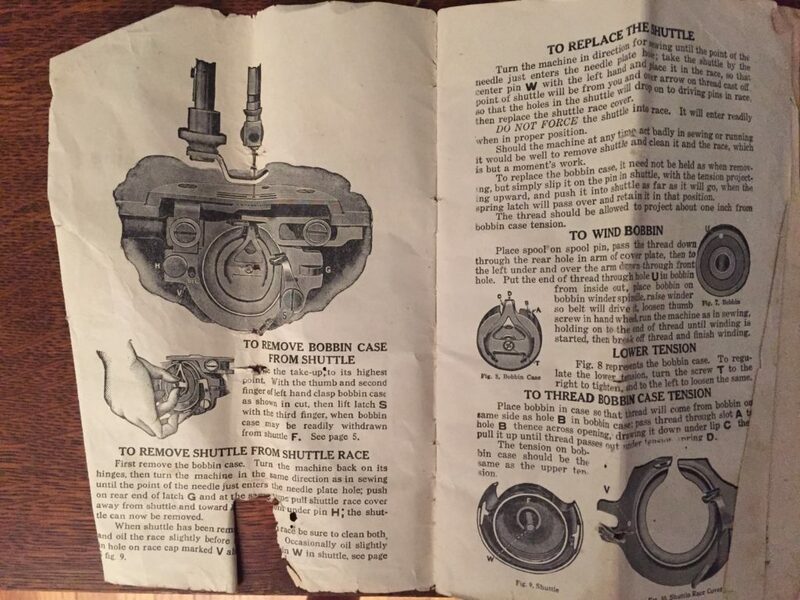 In looking through the drawers of the cabinet, I was able to find a FULL manual from over 100 years ago, which detailed out all the parts and how to ensure its smooth operation. In addition, I found a little box full of all kinds of specialty feet which allowed for things like rolled hems, flat felled seams, ruffles, and who knows what else. I ordered some sewing machine oil and a leather drive belt from everyone’s favorite 2-day online shopping giant. Total cost, under $12! Once these arrived, I set aside about an hour one evening and got my work area ready. 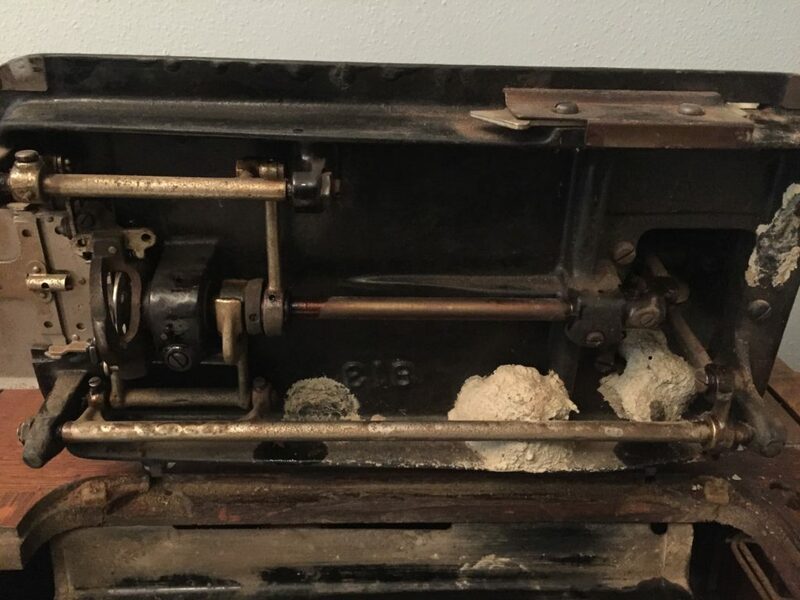 The machine had plenty of rust damage on the front, and some of the parts were seized up. Turning the handwheel made a groaning noise, and even though the needle moved up and down, there was a ton of friction. 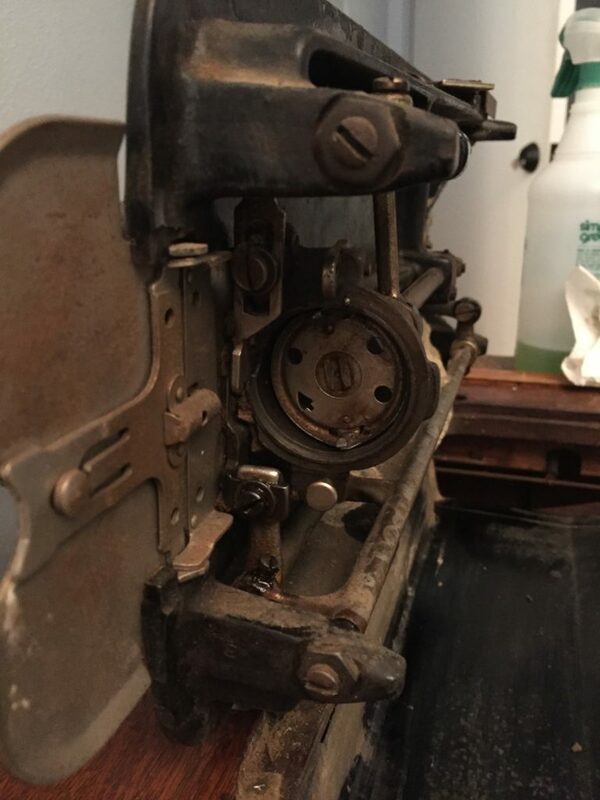 A wonderful thing about machines like this is that they can be brought back to life with just some re-lubrication of the moving parts. A clue to the lubrication points is the little holes all around the machine. I wiped off all visible dirt and squirted a lot of oil into the holes. I tilted the machine upward to investigate the underside and noticed something strange. There were these large lumps of a clay-like substance sticking to the shafts. At first I was like, “Disgusting, are these ancient wasps nests?” Then I decided that a person may have used putty many years ago to stop rattling by evening things out, and the putty calcified. I decided to leave it there for the time being and not be too grossed out. 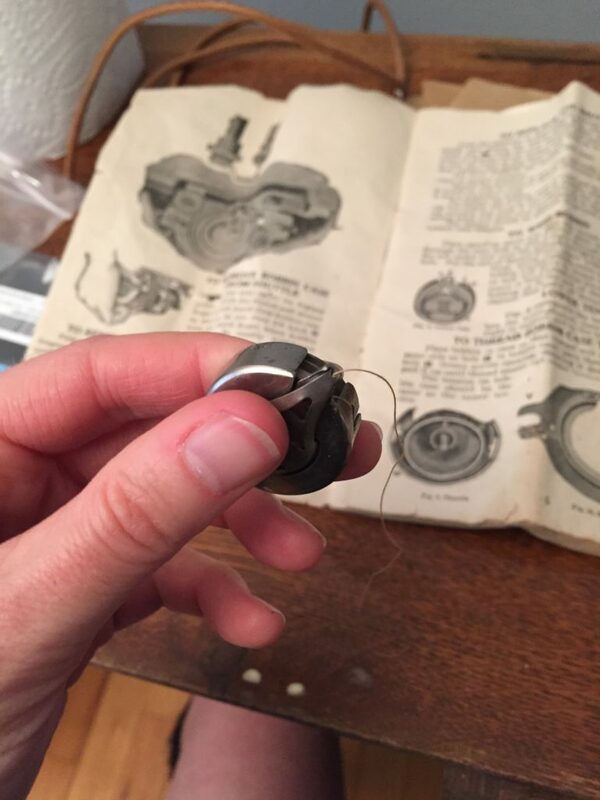 Getting at the bobbin case and shuttle wasn’t hard since the instruction manual detailed their easy removal. There was even a full bobbin with faded white thread! Once I got all the areas re-oiled, I spun the handwheel again and the action was much improved. Still there was some squeaking and I looked all over to find out where the friction could be occurring. It took several more days of further investigation for me to ascertain that I had missed a crucial area under the rightmost spool holder, which needed to be unscrewed to be accessed. After showering that point in oil, the squeaking completely disappeared and the machine moved like buttah. Next, I had to cut the leather belt down to size and re-attach it. This took some trial and error, but I managed to get it to the right size gradually, which is a good strategy because there’s nothing worse than cutting the belt too short and having to wait two days for another one to arrive in the mail. 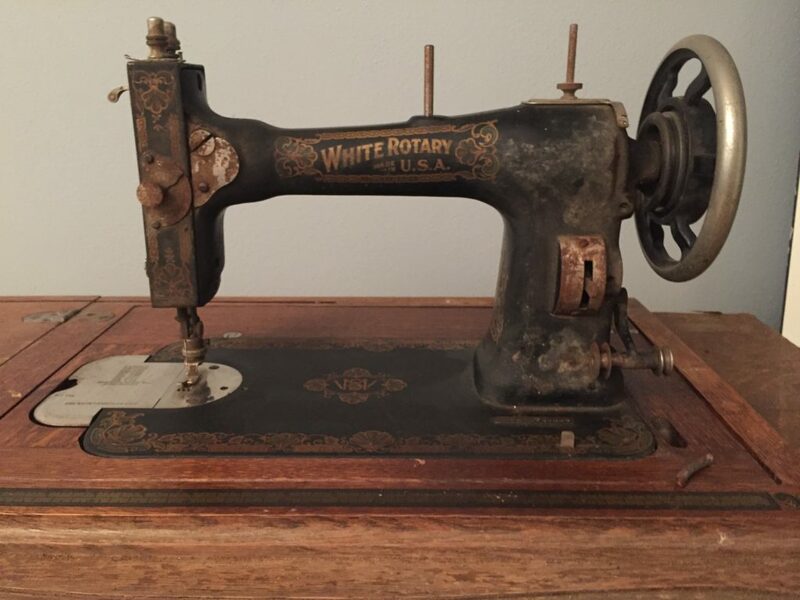 Once I got the drive belt working, I could use the treadle and was well on my way to actually sewing. 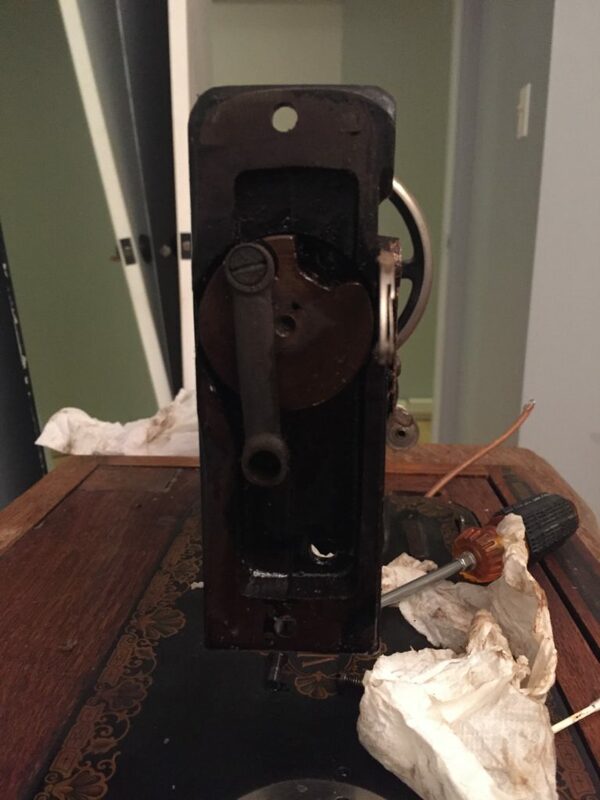 But first, I had to release the tension dial that was seized up with rust. 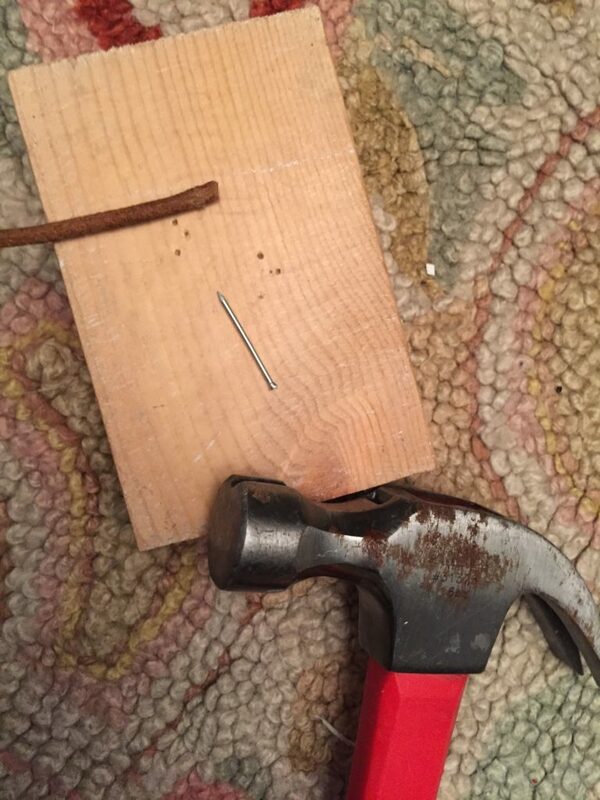 This took quite a bit of WD-40, time, and eventually a vice grip pliers to give me the leverage necessary to break the rust’s hold. One other observation, the needle in the machine currently was bent. It was clear that threading it and trying to catch the bobbin thread was not working. So, time for a new (old?) needle. The White Rotary manual is very careful to tell you exactly what needle to use, and BEWARE of using the wrong needle. This had me a bit nervous, because it’s not like you can just go into a time machine and revisit 1913 to buy those needles. In my online research, people seemed to be saying that you could use a standard needle in this machine and it would work. But what about the dire warnings in the manual??? 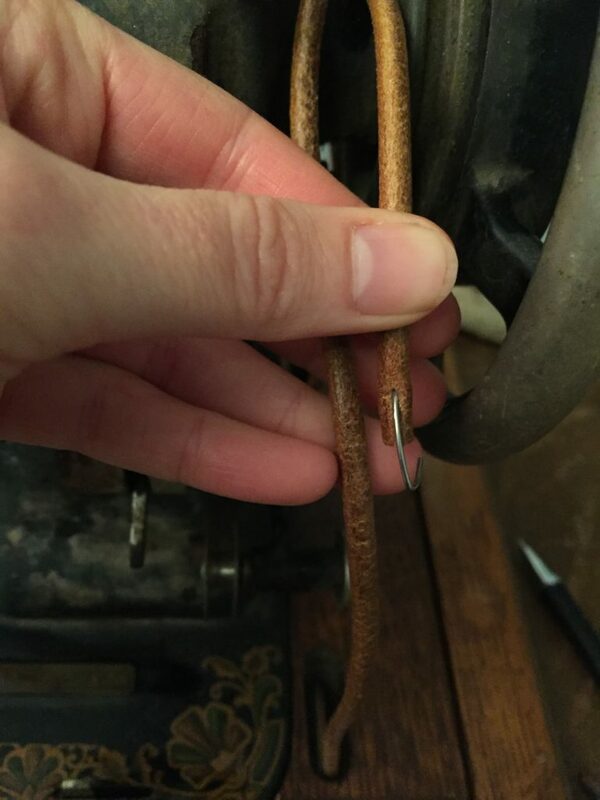 I looked around my sewing room and located some needles that I use for my 1970s era Nelco machine, and decided to give one a try. 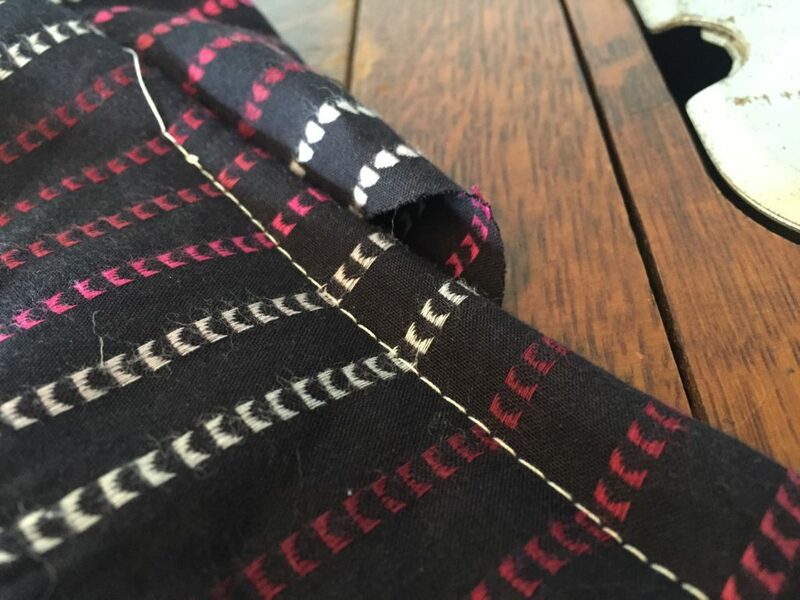 After scrutinizing the manual again to learn how to route the thread, I took a deep breath and tried to catch the bobbin thread in the usual way. After a few revolutions of the handwheel, success!!! Now for the moment of truth, actually sewing. It took me a few tries to get the hang of starting the treadle. You have to start the motion with the handwheel, and keep it steady for a few revolutions. 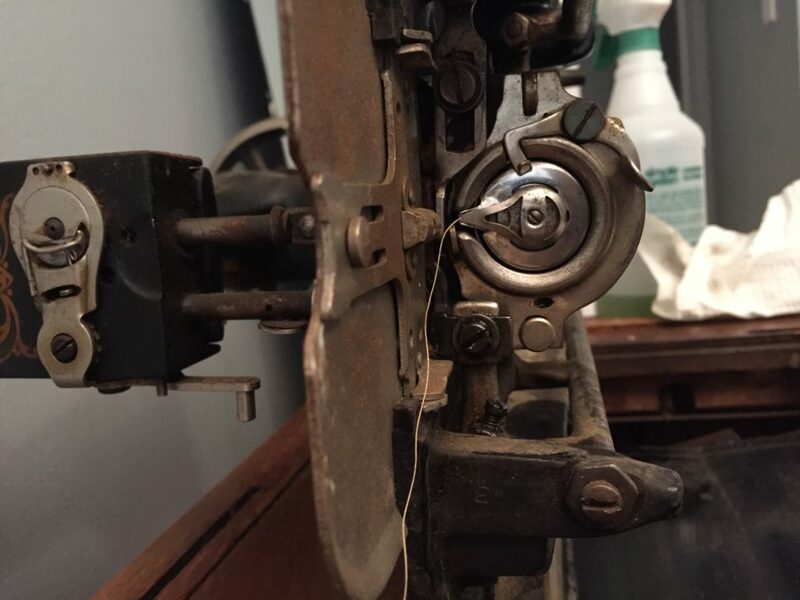 If you lose momentum with the handwheel before the treadle catches up, then the whole thing starts running backward. I wish the handwheel had a better place for me to grip, (like a handle) because it’s possible to get your finger caught. The stitches came out very evenly, and the machine is a joy to sew with. 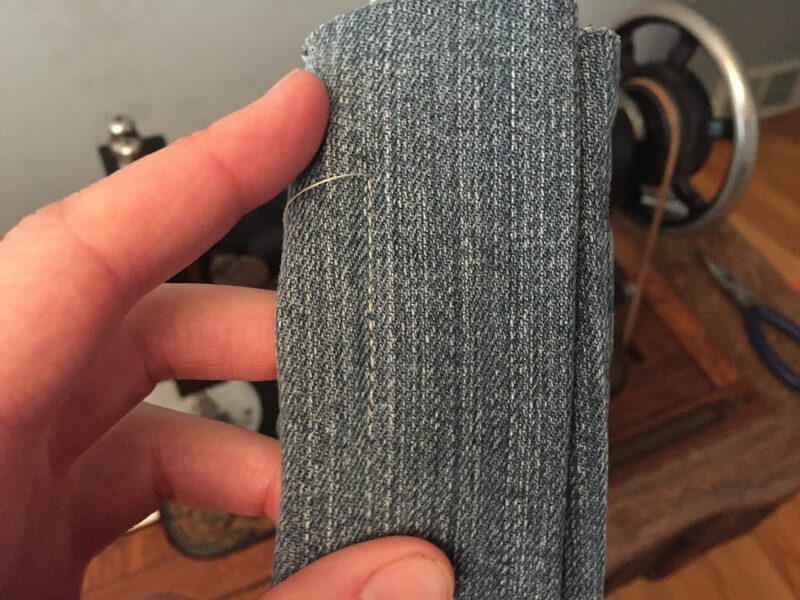 It can even sew through 8 layers of denim! It was such a wonderful feeling to rescue this relic from almost certain demise. 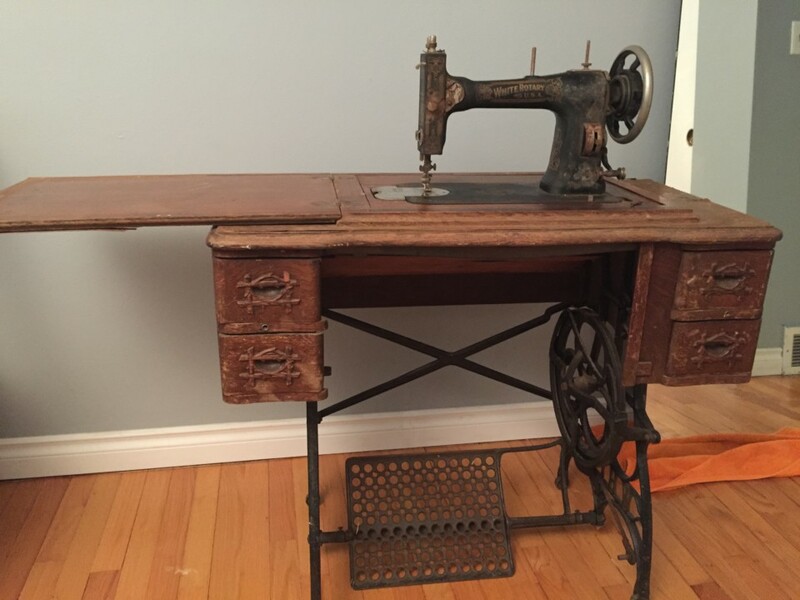 Not only is it functional, it actually fills a niche in my sewing arsenal, for whenever I need to sew through thick fabric, and/or if the power goes out! What's that old clay doing there?